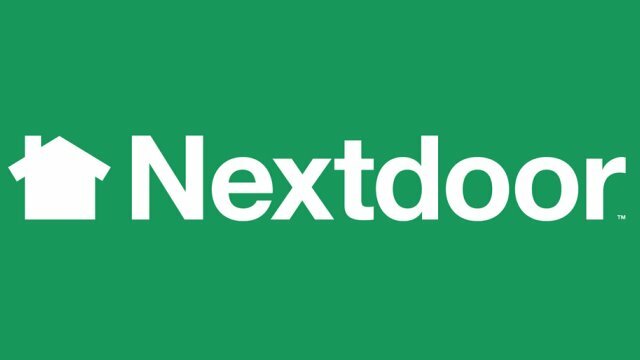 This week we’re pleased to cast the spotlight on Nextdoor — a social network based on real-world neighborhoods — headquartered in San Francisco, CA. Nextdoor is a free, private social network that provides a secure website for every real-world neighborhood in its network. Members of a given neighborhood use familiar social media tools like real-time chat, invitations, interactive maps, status updates, and so on, to communicate and build community with other members of their specific neighborhood. In the Nextdoor network, a “neighborhood” is not a metaphor for a virtual, online community. Nextdoor neighborhoods represent actual geographic locations, from cities and towns all across the United States. Nextdoor allows people who live in those neighborhoods to come together and build their offline communities through the use of a private, secure, and hyperlocal social network. Anyone can create a Nextdoor neighborhood, for free. Before you create a secure space for your neighborhood, however, you can search to see if your neighborhood has already been created in your area. Nextdoor takes its members’ privacy and security very seriously — in fact, it’s key to the entire system. Whether the neighborhood is new to the network, or already represented, all members must verify their addresses to prove that they actually live in the neighborhoods they’re attempting to join. Once your address has been verified (by reverse phone look-up, postcard mailing, or a token charge of one penny to your credit card) you can invite other members of your real-world neighborhood to join your Nextdoor neighborhood. If you have your neighbors’ email addresses, you can send invitations by email. Alternatively, you can specify your physical neighborhood on the interactive map within the system and Nextdoor will mail up to 100 hard-copy postcards to your neighbors, inviting them to join their corresponding neighborhood on Nextdoor. The private social network currently has over 6000 neighborhoods (and growing) in its system, and it’s available in all 50 states. According to Nextdoor’s Senior Communications Manager, Kelsey Grady, traditional neighborhoods, where people actually know and interact with their neighbors, “have all but disappeared” throughout the country. “Social networks like Facebook and Twitter have attempted to bring us together again, by making it easier to get to know each other online, but these networks are not private by default. 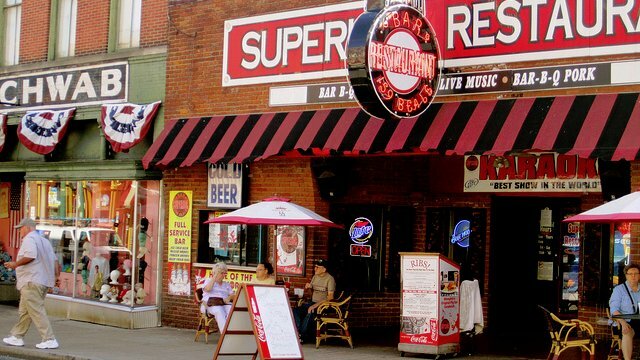 And they weren’t designed with actual, physical neighborhoods in mind,” says Grady. Nextdoor’s founders saw that although social networks are nearly ubiquitous these days, and very good at bringing people together over vast distances, they don’t tend to work so well at the hyperlocal level of individual neighborhoods. “Yet, that’s where people actually live, that’s the real-world communities they’re part of,” she says. “We wanted to come up with a way to leverage the positive aspects of social media with local community building,” she adds, and thus Nextdoor was born. But does the online interaction within Nextdoor communities carry over to interaction in the real-world? “We hear so many stories of how neighborhoods are now hosting real-world events like BBQs and block parties as a result of neighbors getting to know each other on Nextdoor,” Grady says. In the aftermath of Hurricane Sandy, Grady heard of neighborhoods posting things like where to get gas and find emergency shelter. In fact, says Grady, “we got a lot of stories like the one from a neighborhood in New Jersey, that posted a message like ‘we have electricity at 1234 Maple Street, come on over if you need a warm meal’. What a heartwarming confirmation for us that we’re onto something potentially really big here,” she adds. If you live in any neighborhood, anywhere in the United States (and soon, other countries too) you can leverage the community building features of Nextdoor. It’s free, and it’s a wonderful way to bring back that sense of community to your neighborhood. Nextdoor is a venture capital backed startup, so for the foreseeable future, its mission is to build up its user base and market penetration. Although it does not currently accept advertising, this may be a future strategy for the startup, according to Grady. In the meantime, she says that local businesses can take the initiative and build neighborhoods on the network, so that they’re top-of-mind with members of the communities in which they operate. Nextdoor also offers a “Cities” option, which “makes it easy for city, police, and fire officials to connect with neighbors and build stronger communities”. If you’d like to create a neighborhood on the system, check out the website at Nextdoor.com. You can also keep up with developments and news about the startup through its Twitter account or its Facebook Page.